They make a big difference to the feel of a room, making any room feel bigger. They are constructed using normal fully reinforced window frames. 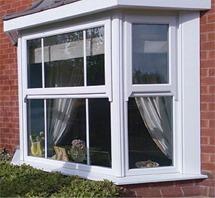 The frames are connected using structural bay pole assembly kits or reinforced corner posts for square Bay/Bow windows. The external sill, which the frames sit on, is welded together to create one sill under all the frames. 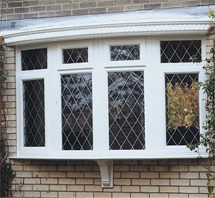 It is possible to create a bay or bow window from an existing flat window.